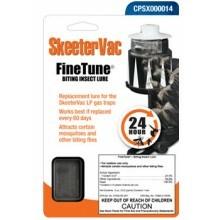 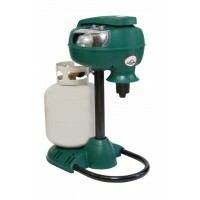 Skeeter Vac SV3100 The SkeeterVac SV3100 is a cordless unit that creates its own power to energize the suction fan by converting propane to electricity using a catalytic converter. 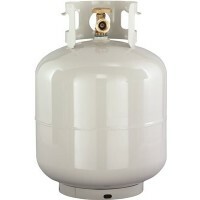 The byproduct of the propane is CO2 once ran through the catalytic converter. 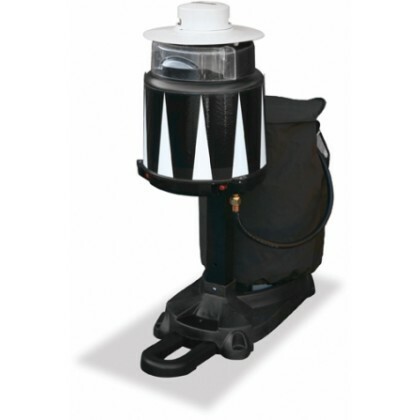 When the fan powers up the exhaust from the fan blows out the unit, CO2 and an attractant called Octenol used in the Bait Block along with heat and moisture is expelled from the SV3100. 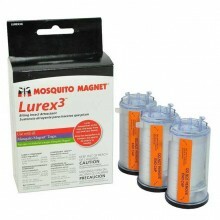 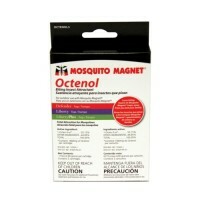 Mosquitoes are drawn to the CO2, Octenol, moisture and heat thinking it is a mammal. 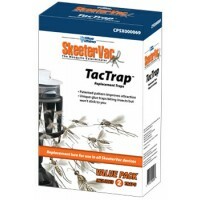 Some mosquitoes will get stuck on the sticky TacTrap which is the black and white portion of the trap surrounding the SV3000 engine. Mosquito research has shown that mosquitoes are attracted to dark colors. 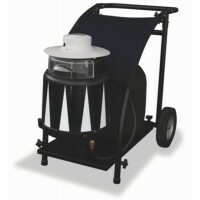 The design of the TacTrap with the white and black contrast tends to make mosquitoes fly toward the wider portions of the TacTrap which is where the suction from the fan pulls the mosquitoes into the permanent net where they will dehydrate and die.